After discussing possible armistice terms with the Western Front commanders yesterday, Foch today reports to Clemenceau and Poincaré, France’s prime minister and president respectively. Foch follows the other generals by suggesting armistice terms that will effectively make it impossible for the Germans to return to war. If they refuse then the Allies should continue fighting until the Germans are obliged to surrender. Meanwhile in Germany a rift has opened up between the Chancellor, Prince Max, who wants to continue negotiations towards an armistice, and Ludendorff, the army’s Quartermaster-General, who now favours an end to negotiations and military resistance to the outmost. In defiance of Prince Max, Ludendorff has had Hindenburg, the army’s commander, issue a proclamation condemning the armistice negotiations. Now Hindenburg and Ludendorff return to Berlin to meet the Kaiser, where they threaten to resign unless Prince Max is sacked and a more pliant Chancellor appointed; Max meanwhile has also threatened to resign unless Ludendorff is sacked. By now Ludendorff’s star has fallen and the Kaiser is afraid his own star will fall with it. Instead of sacking Max, the Kaiser sacks Ludendorff, hoping that this will placate both President Wilson and the increasingly restive German people. Hindenburg’s offer of resignation is not accepted; the Kaiser needs him to continue leading Germany’s army in the nation’s hour of need. Ludendorff’s replacement meanwhile will be Groener, whose previous work directing the German war economy should make him more acceptable to the Social Democrats than any other general. Ludendorff’s removal shocks many in the army, even those who were deeply critical of his leadership. But the way is now clear for Prince Max to pursue more substantive negotiations with Wilson. 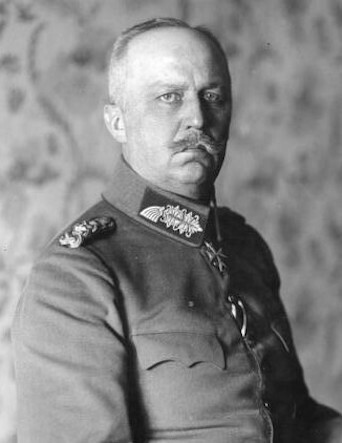 As part of their effort to militarise the German economy, Hindenburg and Ludendorff created the Supreme War Office, headed by General Groener. Groener’s responsibilities are broad, extending beyond the production of military supplies to encompass food and industrial production generally. Part of Groener’s brief is to minimise industrial unrest in Germany. Groener’s policy in this regard is relatively subtle, attempting to conciliate unions while also being willing to threaten repression if they step out of line. Nevertheless, this summer has seen many strikes in Germany, as workers attempt to protect their living standards from erosion by inflation. These strikes unnerve Hindenburg and Ludendorff who fear that Groener’s conciliatory policy has emboldened the unions. They also heed the complaints of industrialist that Groener’s work has been affecting their profits. So now Groener is dismissed as head of the Supreme War Office; he returns to the army to take up an operational command. Ludendorff believes that industrial unrest is the result not of workers trying to defend their interests but of agitation by socialists and foreign spies. He hopes that harsh measures will stamp out this nonsense. Strikes erupted a few days ago in Berlin and Leipzig, triggered by a reduction in the bread ration. They soon assumed a political cast, especially in Leipzig, with demands being made for the release of political prisoners and an end to the state of emergency, as well as a government commitment to support a peace without annexations. In Leipzig a workers’ council emerged to coordinate the strikes, worrying similar to the soviets that appeared in Russia during the recent revolution. Groener in the Supreme War Office (the army-led body charged with running the war economy) wants to invoke emergency powers to smash the strikes by drafting some 4,000 of the most radical workers into the army. But he is overruled and a more conciliatory response causes the strikes to peter out. Pay rises and a reduction in work hours bring the workers back to their factories, though workers in the more radicalised workplaces are threatened with being sent to the front. Hindenburg also appeals to their patriotism, warning that loss of production through strikes weakens the position of the men in the trenches. Erich Ludendorff, the Quarter-Master General, is trying to harness the entire German economy for the war effort. As he sees it, the struggle with the Allies is a Materialschlacht, a struggle in which the side that can better marshal its resources will be the winner. Germany has long conscripted men into the military but now Ludendorff wants civilians to be conscripted into the vital war industries, to ensure the army has what it needs to keep the war going. 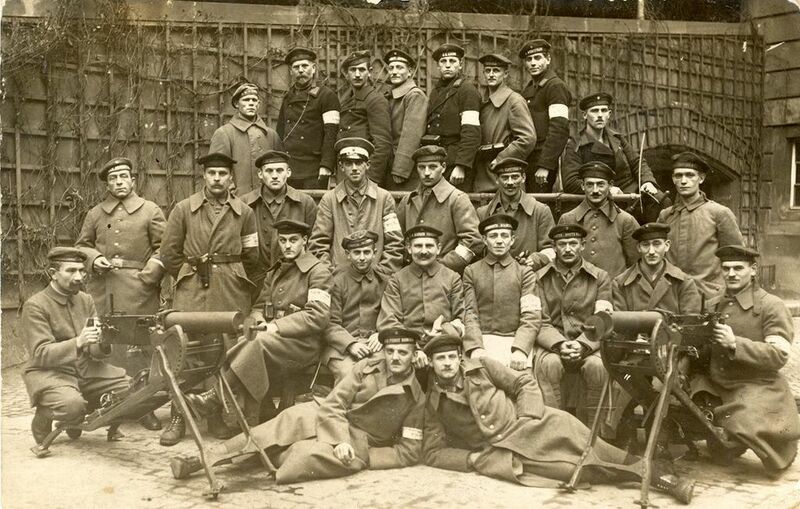 At Ludendorff’s behest, Groener, the head of the Supreme War Office has drawn up a draft law to extend conscription so that males between the ages of 16 and 60 can be conscripted into Patriotic Auxiliary Service, which generally would mean that Ludendorff and Groener could send them to do anything deemed necessary for the war effort. Today at last the Reichstag passed the auxiliary service law. Unfortunately for Groener and Ludendorff, the politicians have heavily watered down the proposal, diluting the near dictatorial powers the generals had sought. A raft of exemptions have been added to the bill and the Reichstag has insisted on establishing a parliamentary committee to oversee the law’s operations. Worse, the Social Democrats and other left parties have added in provisions establishing worker committees in all enterprises employing more than 50 people, effectively mandating trade union recognition. Workers will remain far more free to switch jobs at will than Ludendorff or Groener had envisaged. Ludendorff is dismayed at the Reichstag’s watering down of his proposals. If only there was some way of getting rid of these troublesome politicians. Then the entire country could be run on efficient military lines.